Het Paradijs literally means 'The Paradise' in Dutch. 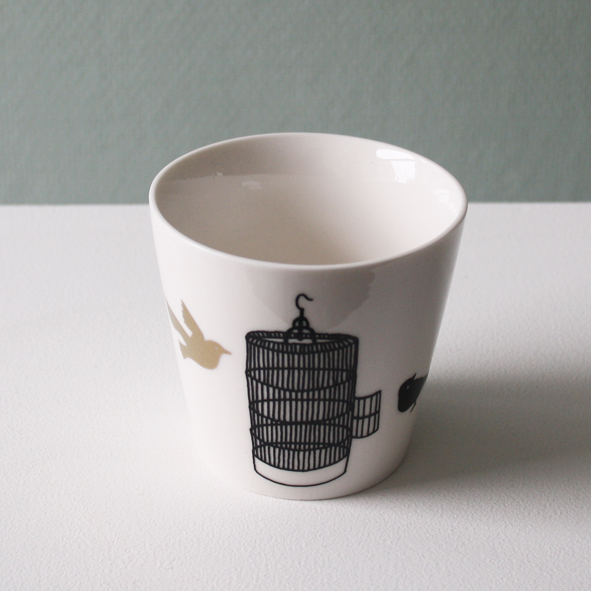 It's a shop and studio run by three illustrators - Esther Hörchner, Els ten Klooster and Maaike Burgers. 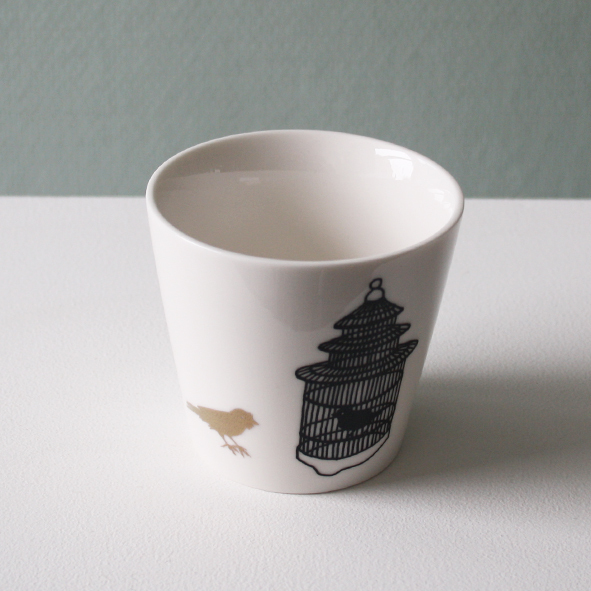 We've actually featured some of their work before - remember the gorgeous bathing ladies tea set we gave away? That was their handiwork. 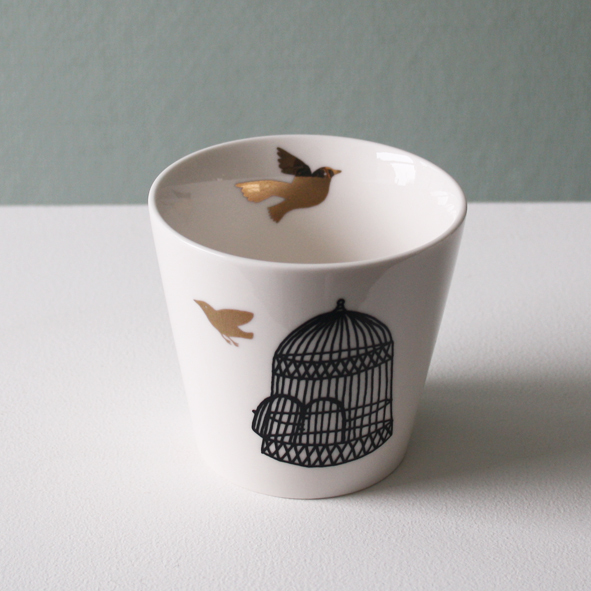 Now I've got myself excited over their gorgeous flying bird cups. A concept so simple, but incredibly effective. 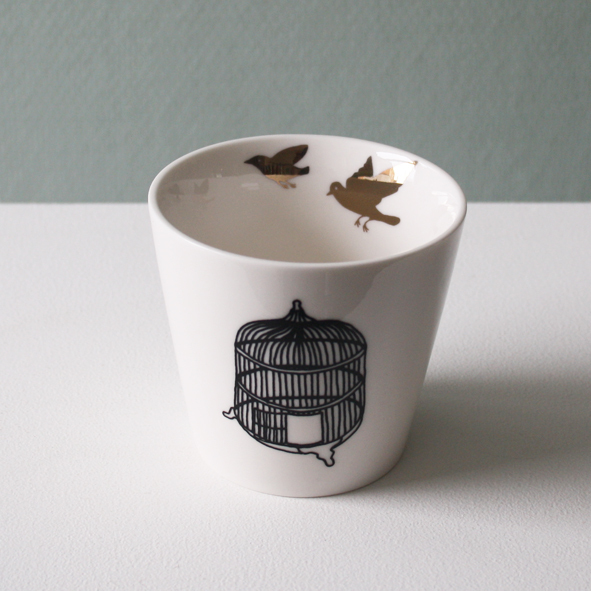 Each mug depicts an ever so slightly different birdcage, and a cute little bird trying to fly away. Or a bird who is actually quite content to stay where he is thank you very much. Love the gold touches they've used for the birds. Yep, this design is all sorts of winning. 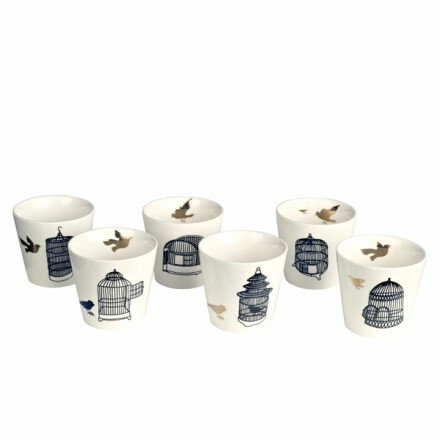 The individual cups are available from the Het Paradijs website at €8.50 each, or you can buy the set of six from Dutch by Design for £45. I'm hoping they'll starting selling the individual cups as well, I think they'd make absolutely gorgeous 'cheer up, I think you're excellent' presents.